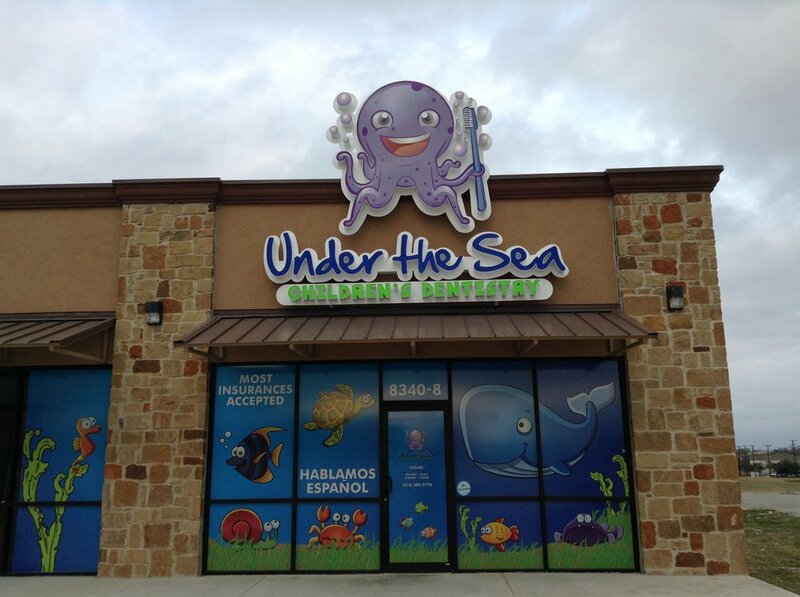 Under The Sea Children’s Dentistry is dedicated to providing your kids with the best pediatric dentistry care possible. Our practice provides specialized children's dentistry for kids and teens from 6 months until 18 years old in a fun and friendly environment. Our office was created with your children in mind. We know the stress during any doctors appointment for your kids, this is the reason our pediatric dentist take the time to explain you and your kid in an easy way our procedures and reduce or eliminate any reason of stress, making your kid dental experience safe and fun!. We proudly serve the Converse, San Antonio, Windcrest, Kirby, Universal City, Live Oak, Schertz, Selma, Cibolo, Adkins, La Vernia and surrounding cities in this Texas area. Normally dental appointments are every 6 months, so you need to find a place where yous kids feel comfortable and provides a high quality service. If you are looking for a Children's Dentistry office in the Northeast area or surroundings, a pediatric dentist, or a kid dentist we are your best option. Dental Exams, Prophylaxis and fluoride.